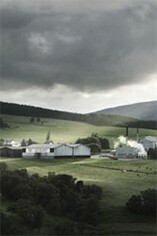 The Glenlivet Distillery has been founded by George Smith, while his son John Gordon Smith assisted and succeeded him has a long-established reputation for making subtle, elegant and flowery Malt Whisky. 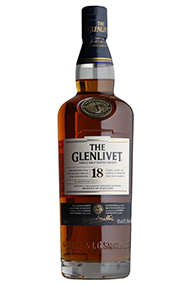 This famous Speyside distillery by the glen of Livet, which flows in to the mighty river Spey, was the first licensed operation in Scotland when the legal production of whisky was first introduced in 1823. The company remained independent until 1935, merged with Glen Grant in 1952 and was acquired by Seagram in 1977, which was eventually succeeded by the Pernod-Ricard group in 2001. On the nose, oak leads way to heady floral fragrances, followed by notes of toffee, butterscotch, mint chocolate, raspberry pie and powdered ginger. 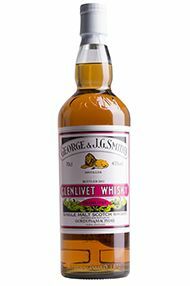 The palate is smooth and velvety, with firm underlining, showing gentle maltiness with a touch of passion fruit. That sweetness is immediately followed by a tantalising burst of spices (ginger, white pepper) and bitter oranges. A very fine and complex dram.